The most successful coach in the history of Canadian university basketball, Ken Shields has dedicated his life to the development of Canada’s athletes and coaches. He has been a leader in the development and promotion of Canada’s premier athletic programs. Mr. Shields coached the University of Victoria men’s basketball team from 1976 to 1989, leading them to seven consecutive national championships. During this period, he was awarded four Coach of the Year awards. Renowned for his high standards and promotion of excellence, Mr. Shields instilled these values in hundreds of young men who he coached and led during his coaching career. 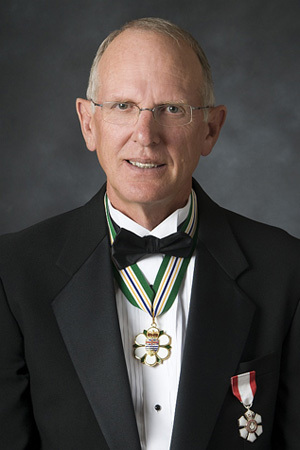 He went on to coach Canada’s national team and was instrumental in establishing the National Coaching Institute at the University of Victoria. He was also the founding president of the Commonwealth Centre for Sport Development now known as Pacific Sport Victoria. Mr. Shields’ commitment and dedication to Canadian sport is legendary, and his drive and leadership have been invaluable in ensuring continued excellence in Canadian sports, and in promoting healthy living and fitness.